If you have a huge collection of DVDs, Blu-Rays and CDs, make sure you need a storage rack or cabinet that will not only keep your movies and music safe in a central location but will also give your media room a clean, sophisticated look. 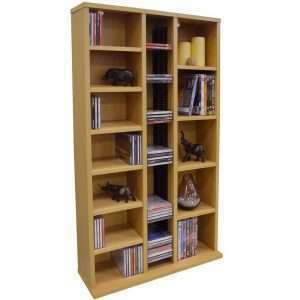 Furniture Chelsea offers you a wide selection of practical and stylish DVD and CD storage racks and cabinets to store your desired items easily. We have the perfect storage furniture items to complete your space. Whether you arrange your disks alphabetically, chronologically, by genre, or in no specific order, our specially designed storage racks and cabinets will keep your media collection organized and damage-free. We offer storage racks and cabinets in a variety of styles, sizes, shapes and finishes to choose from. Whether your home is contemporary, traditional, or transitional, we have the perfect DVD storage items to fit your décor needs.